In addition to this shortfall in size, all astronomical telescopes report high resolution spectrograms for only a tiny percentage of all of objects in their fields-of-view, and fields-of-view themselves are always extremely narrow given the very nature of magnification. Moreover, as telescopes grow in size, their secondary optics protrude further from the primary mirror, leading to complicated structures. By altering the very premise upon which all prior telescopes rely, The High Étendue Multiple Object Spectrographic Telescope (THE MOST) overcomes all of these problems: aperture, collection area, field-of-view, spectrographic performance, and compact size. Startling, THE MOST does it at lowered cost We proved in our NIAC Phase I we proved that THE MOST could record a high resolution spectrum for every object in a field-of-view that also happens to be 100 times greater than any prior astronomical telescope. We point to Isaac Newton to make our case. At the same time that he used a primary objective spherical mirror to build astronomical his telescope, in his equally famous Double Prism Experiment, which Newton called his Crucial Experiment, Newton showed that if the light from a primary disperser passed through a tiny hole to a second disperser he saw a single color. THE MOST is particularly applicable to NASA, because the primary objective is a flat membrane surface with a minimal mass ideally suited for space deployment. Moreover, the membrane turns out to be highly tolerant of surface errors compared to mirrors. The delivery package is stored as a cylindrical roll which can withstand the shock of launch. 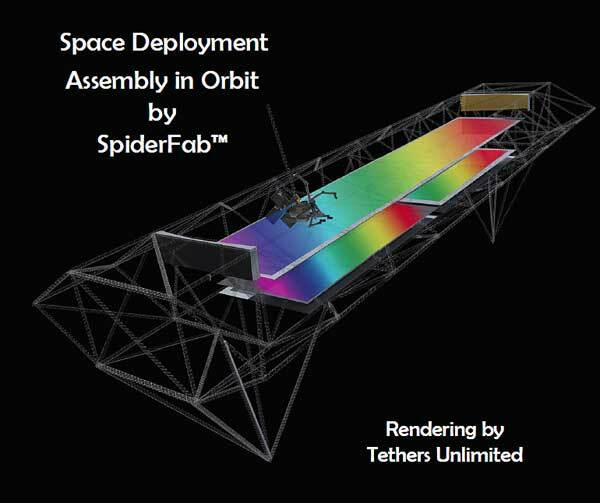 On delivery, the primary and a secondary disperser can be installed on a 3D printed trusswork such as being developed by NIAC Fellow Rob Hoyt, a consultant in our proposal who has been tapped by DARPA to make such structures in earth orbit. In our Phase II project we will build a laboratory model of THE MOST and a tightly controlled simulation of the sky to test it for efficiency (throughput), spatial resolution, spectral resolution, figure tolerance, and field-of-view. We have assembled a team of experienced astronomers and holographers to participate in the creation of the diffraction optics. We have created a laboratory facility for this work at Rensselaer Polytechnic Institute that has requisite components. The P.I. is unique in his background coming from the world of fine art where his films can be found in the collection of the Museum of Modern Art and exhibited widely in museums such as the Whitney where he was named one of the 300 most influential American artists of the twentieth century. That said, he has also also served in optical engineering as a P.I. in two Phase II NSF projects and has now been made a Phase I Fellow of NIAC for this: the first entirely new optical telescope in over three centuries.